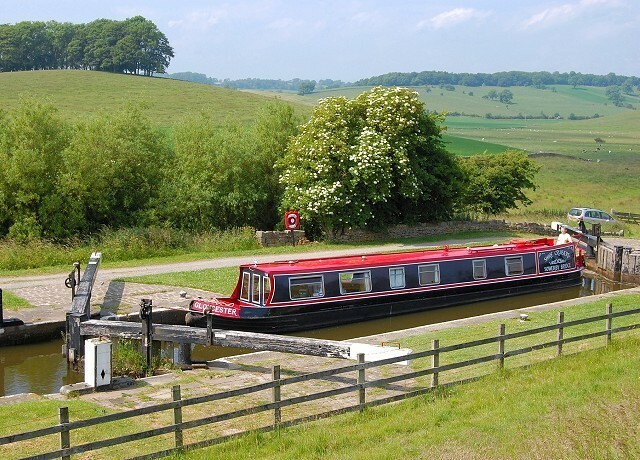 Canal boat holidays from the Falkirk Wheel to Edinburgh and Glasgow. 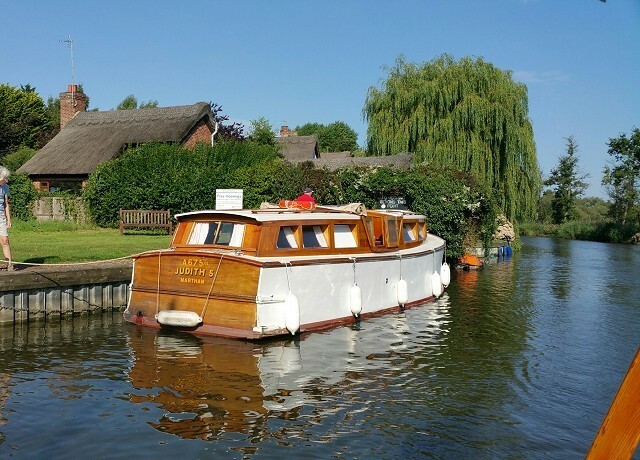 The Scottish Lowland Canals offers quite a different boating holiday experience to what you would discover in England. The Forth and Clyde, as a sea to sea canal, is wider than the average English canal. Between our base at Falkirk and Glasgow there are four locks and three road bridges, which are all operated by Scottish Canals staff. 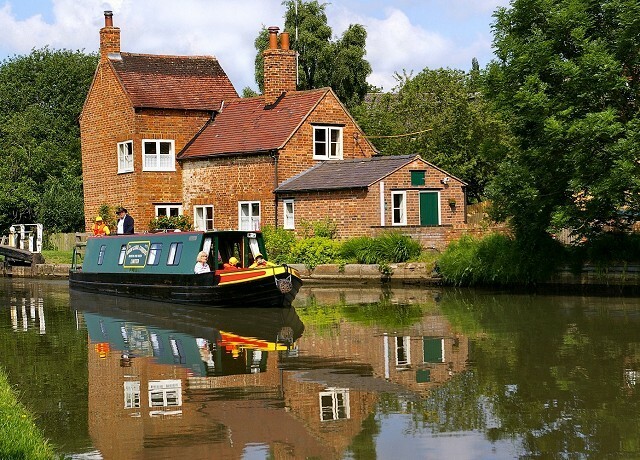 The Union Canal is a contour canal and has no locks or bridges at all. The Falkirk Wheel and the Kelpies are two of the top Waterways sites to see whilst on a boating holiday at this location. 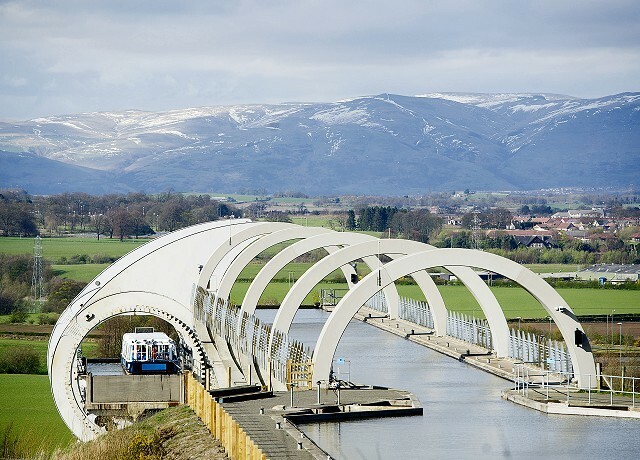 Based at the Falkirk Wheel, located between Glasgow and Edinburgh, the Falkirk base makes the ideal start point to visit both cities in a 7 night holiday. Heading to Edinburgh, you go up through the Wheel and travel on the lock free Union Canal, passing over the Almond Aqueduct. Continue to cruise through the villages of Linlithgow and Ratho, the home of the Edinburgh Canal Centre. From Edinburgh, you then head back towards Falkirk, descending the Wheel and joining the Forth and Clyde to Glasgow, with locks and swing bridges. 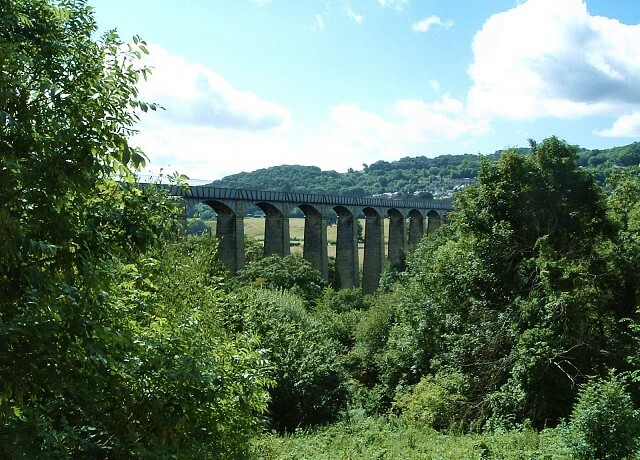 Travel through spectacular scenery and villages such as Auchinstarry and Kirkintillock, to Cadder Village and on into Glasgow. Then simply make your way back to your starting location at Falkirk. Falkirk provides a great selection of places of interest to visit. 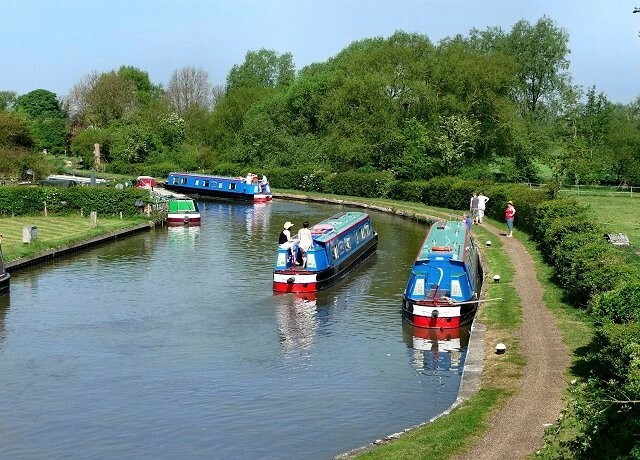 Scotland's Roman heritage is never far away as the Forth & Clyde Canal carries the boats through splendid scenery to Kirkintilloch, known as the 'Canal Capital of Scotland'. Port Dundas offers views over the city and features many historic buildings, including some of those designed by Charles Rennie Mackintosh. The Falkirk Wheel is 115 feet high - the equivalent height of eight double decker buses. It is 115 feet wide and 100 feet long, the wheel will lift loads of 600 tonnes (300 at each end) - the approximate weight of 11 adult African elephants. The structure stands in a circular basin with moorings for over 20 boats. Before redevelopment the site was a deep open cast pit left by mining which ended in the early 1980s. Prior to that the site was the home of Scottish Tar, producing various tar-related products. The total project cost was about £17 million and work took 22 months. The Wheel is designed to last for at least the next 120 years. 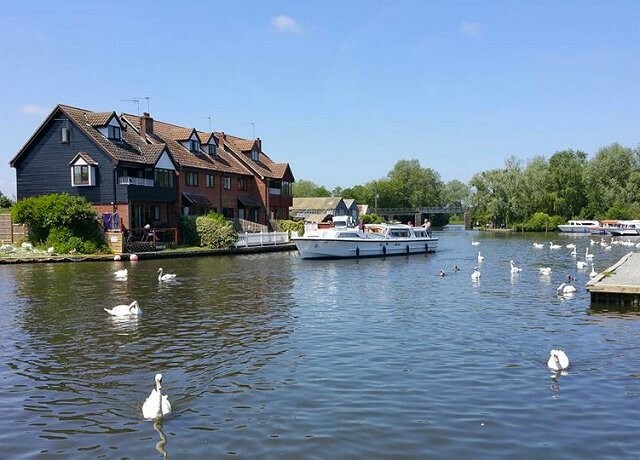 Leisurely week or active 4 night break from Falkirk to Edinburgh & return: 68 miles, 6 locks or try a more active full weeks cruise with a two centre break - journey from Falkirk to Glasgow and then double back to Edinburgh and finally return to Falkirk: 118 miles, 14 locks with 6 hours cruising per day. 47 Station Road, Aldershot, Hampshire GU11 1BA.